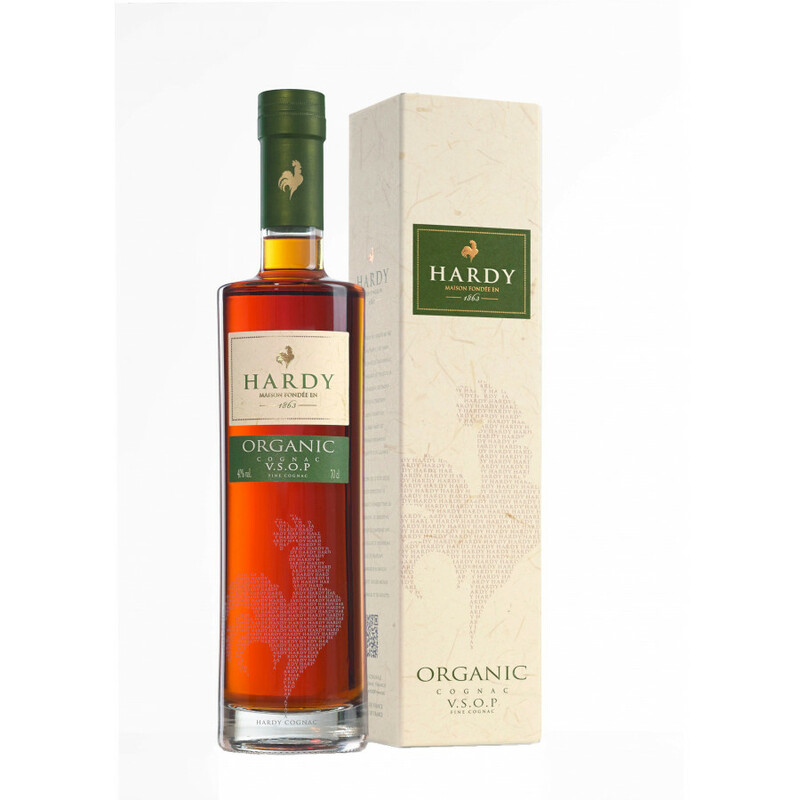 The Hardy Organic VSOP Cognac is part of their 'Tradition' Collection. Made from grapes solely from a certified organic vineyard, you can enjoy this Cognac safe in the delight that absolutely no chemicals, pesticides, or other 'nasties' were used in its production. The result is a mellow, fresh, feminine Cognac, that not only tastes wonderful, but teases you right at the end of the tasting process with a surprisingly delicious spice explosion. It's presentation is nice - with a clean-lined, contemporary style bottle and box. A great VSOP to own or give as a gift. With a history dating back to 1863, Cognac Hardy is well known for quality cognacs and traditional production methods. Passed down throughout the generations, this family house of cognac, which can be recognized by its rooster logo, was one of the very first to embrace the spoils of a worldwide distribution network. Thanks to the love of an entrepreneurial Englishman for the French Charentaise countryside, Cognac Hardy boasts a 150 year history of providing a range of cognacs to the four corners of the globe. Eye: Rich, reddish amber. Nose: Candied fruits. Palate: Sweet and gourmet flavors punctuated by candied apricots, currants and a touch of saffron. Tasting review by Raymond Ragnaud: On the eye, intense bright gold, reflection bronze. On the nose, yellow fruits and flowers, yellow peaches, melon and tobacco. On the palate, vegetable grape skin notes, clove, final on spices and a slight musky notes with a subtle exceptional soft vanilla.